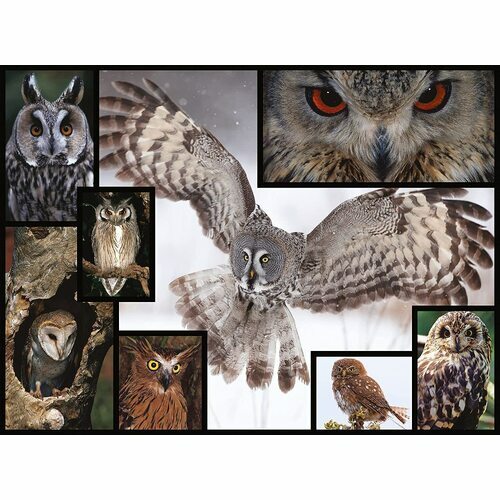 With their impeccable eyesight and silent flight, owls are truly marvelous creatures. 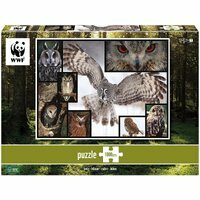 This puzzle guarantees sustainable entertainment for the whole family. It also raises awareness for the conservation work of WWF. 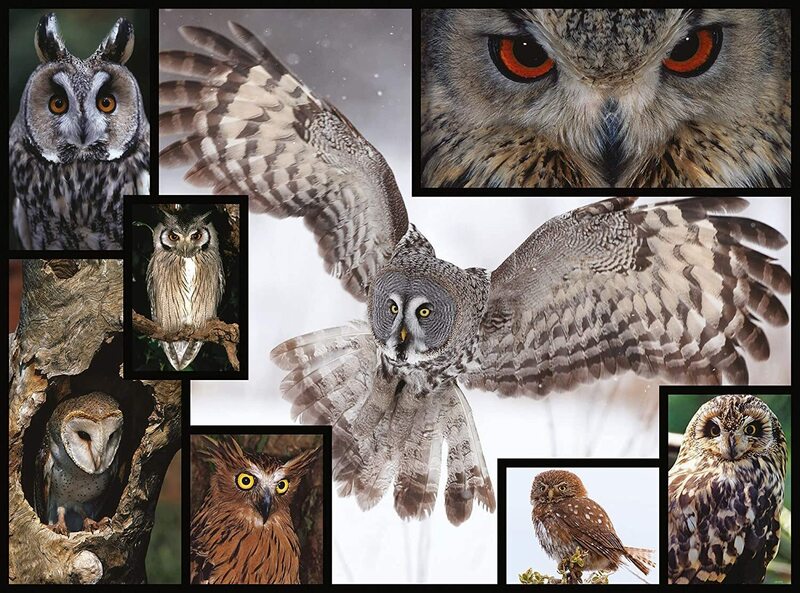 Features full-color collages of amazing wildlife on planet Earth. 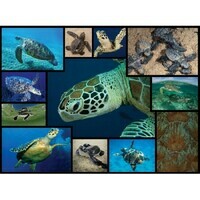 In partnership with World Wildlife Fund and printed on FSC certified sources. It was great entertaining fun to put together. 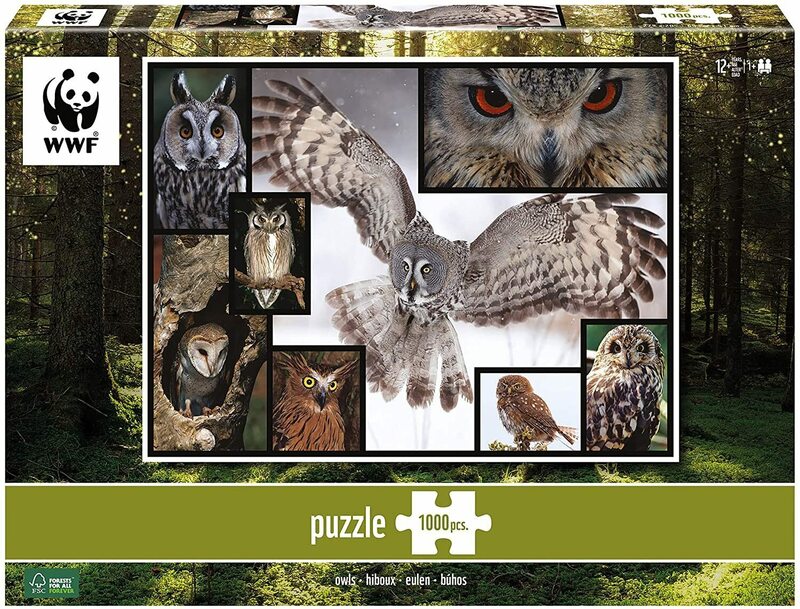 Also a good price compared to most jigsaws.